As for an alliance with a particular camera brand – I grew up with Canon, so naturally, I’ve stuck with it! Canon AT-1 – This camera belonged to my Dad, and was broken for several years. After he died, I sent it off for repairs and learned how to use it! I plan on doing more film photography with it in the future. Canon EOS Rebel T4i – This has proven to be an OK camera body, but I know that I would get better photo results from others. I like the ‘veri-angle’ touchscreen and many other aspects of the camera, but am really not a fan of the noise ‘performance’ past ISO 400. I find it disappointing to use for many of the low light situations encountered in wildlife photography. Canon Powershot G12 – Ol’ reliable, this camera has been perfect for a number of situations and was the mule for my photography studies until I picked up the dSLR. It’s been all over the place! Highly recommended for someone looking for a convenient to carry and versatile camera. EF-S 60mm f/2.8 Macro USM – My one and only proper dSLR lens. This piece of glass was a great investment for the kind of photography that I enjoy (Macro), and a huge bonus in other categories (although it can be a matter of luck in some ways) I’ll elaborate on this in a post very soon, complete with examples! Two lenses – Old Canon 50mm and a 28mm (Need to look them up online) – I have not worked with these as much as I would have, as I do not have a good lighting rig to make the most of it. I plan on investing in a good setup in the future, though, so you can be sure that I’ll have neat super-macro photos soon! Kenko Auto Extension Tubes for Canon – Used with the old Canon lenses, reversed. They work perfectly. 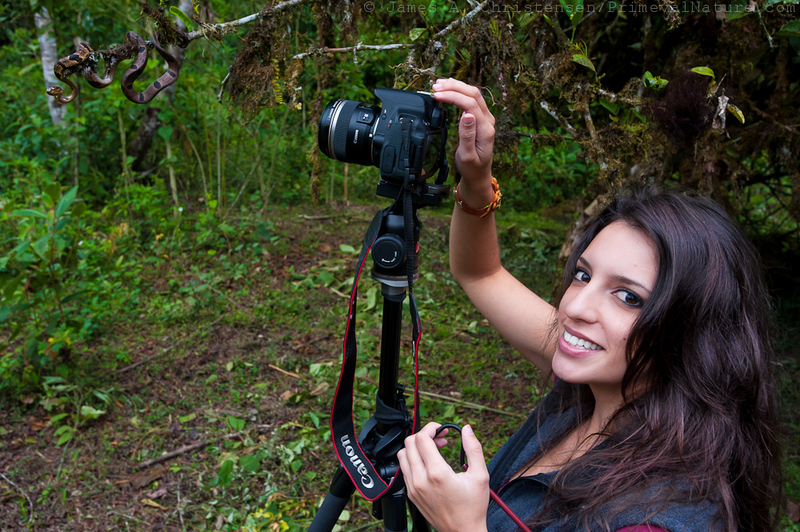 Manfrotto 190XPROB – I really love this tripod, and found it useful for all types of photography. It is inexpensive, but of solid and reputable build. I really like that it is simple to use and stays put, which is important in all kinds of conditions! I currently use Lightroom 4, hoping to upgrade to 5 soon. It works really well and I love the results, but the latest version is likely superior and definitely addresses some of the frustrations I have with Lightroom 4. I have also learned to used Aperture, and consider it a great photo developing tool as well.